This week’s guest blog post is by Gemma Lovell. She explores the best banking options in the UK for international students. Regarded worldwide as offering high educational standards and excellent research facilities, it is hardly surprising that so many international students choose to come to the UK. According to the largest survey assessing international student satisfaction, The International Student Barometer, UK universities are also attractive because they are welcoming. Yet adapting to life in a new country is also about day-to-day necessities such as money, transport and accommodation. For many students managing finance is of particular concern. Finding the right bank to look after your money while you study can be a challenge, so it is important to consider which banks offer the best deals to international students. Most UK banks will be happy to open accounts for international students whilst they are resident in the UK, but the products they offer may be quite different. A number of banks steer international students in the direction of a deposit account rather than a current account. It is important to understand the difference between these two types of account as deposit accounts often come without a credit card or chequebook so can cause difficulty when it comes to things like paying bills. This is particularly relevant to students who pay their student fees in instalments by direct debit. A better option is a current account. 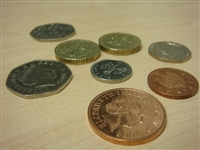 Even basic current accounts generally offer tools such as cash withdrawals and online and telephone banking to help with effective money management. Additional features may also be available once the account has been operated successfully for a period of time. • Santander: The International Student Current Account offered by Santander offers a full range of services including a visa debit card, cash withdrawals, bill payments and direct debits/standing orders. Customers can use their account to transfer money online and are given one free deposit of a foreign cheque each month. There is a monthly fee of £5 but the account does offer an interest rate of 3.00%AER/2.96% gross (variable) on account balances of up to £500. Banking transactions can be completed online, mobile (via the app) and on the telephone. Free text and email alerts are also available to customers. • Barclays: The biggest difference with the Barclays International Students Account is that it provides free banking to overseas students with no monthly fees. Full online, mobile and telephone banking is still available as is protection from online debit card fraud. Free text alerts also help with money management and a contactless debit card can speed up and simplify the making of payments. Customers are required to pay in their main source of funding and must be studying in the UK for a minimum of twelve months. • NatWest: The NatWest account available to international students is almost the same as that available to UK students, thereby recognising that for the most part their needs are the same. As long as customers are completing a full-time undergraduate or post-graduate course and are aged 17 or over they can access a wide range of services including a visa debit card, online and mobile banking, cash withdrawals of up to £300 per day and access to standing orders and direct debits. International students (unlike UK students) cannot use the account to apply for an overdraft but otherwise the account features are just the same. There are no recurrent fees and new customers get a free ‘tastecard’ membership entitling them to 2 for 1 meals and other reductions at thousands of UK restaurants. Opening a bank account will usually involve visiting the local branch of the bank in question. They will require a range of documentation including personal identification (passport and student visa or national photo ID card as appropriate) and a letter from the university confirming study details. These requirements protect both customers and the banks from possible identity fraud and financial crime. Legally, banks are required to carry out these checks regardless of where the customer comes from. It can take time to set up a UK account so it is important that you set up an account as soon as possible to store your money safely. i am applying to get a tier 4 visa to study a LLM at Birkbeck , and I am intending to pay my fees in monthly installement so could you please tell me what are the procedures to open an account and how much shall i put in . There’s more information that should be helpful to you on the UKCISA page about opening a bank account. It may also be worth contacting banks directly to see their policies on payments, including any charges involved. As a spanish girl going this year to a English University am I able to open a international student account with Nat West? I believe you can, but you should check their exact terms and conditions on their website as these can vary. I am a Postgraduate student at the University of Warwick. I intend to open an account with Barclays Bank to facilitate transfer of fees. Thank you. What does ” customers are required to pay in their main source of funding” mean? It means that any form of student loan, scholarship or the money you will be paying your fees with needs to go into that account. I think it would depend on exactly what you are looking for from a bank. My advice would be to go for a bank that has a branch near where you will be studying – that way if you need any support then you can go and speak to someone face-to-face. How about for a student that is only in London for four months? What is the best option? hello am an international student from Africa wanting to study in UK. I do have guarantors or cosigners in UK. I would want to get a full loan covering all expenses as am studying there. Am I eligible? and which banks or organisations should I consult. Your best option may be to contact the institution you wish to study at to find out their loan or scholarship offers. They may also be able to help you with other funding sources. I am an international student from Africa and i want to come in uk and study. Help me which bank or organization should i join when i reach uk? what are international students typically required to do with their British bank accounts after they graduate, their visa expires and have to return home? Is it necessary to notify their bank? Do the banks ask you to shut your account down? Hi. I wonder if you know which banks that do not charge fees or if they do, charge the least amount of fees, on international money transfer (between banks) because I think that I’m going to have to use that service a lot. I am an incoming international exchange student who will be in Birmingham for just 6 months, would you know of any banks who would offer such short-term contracts. Hi, I am an international student from Italy. I’m coming to London for a postgraduate course which will begin on September 25th; I applied for a student loan which, after I submit my British bank account details, will be paid to me on September 24th. My problem is that I cannot be in England before at least September 20th/21st, so there won’t be enough time for me to open a bank account visiting a London branch. Isn’t there any way of opening an account online, sending certified copies of the documents banks need? I opened some years ago an Italian bank account entirely online (the credit/debit card was then delivered to my home address) so I guess this can be made in Britain too. If this was possible, that would be a huge relief. Does any bank offers overdraft for internacional students? I’m an Italian Erasmus student, and I’ll be in the UK for 6 months. Where do you think I’ll be able to get a credit card- since I already got an Italian debit card-? Hi, I’ll be in UK for 5months for an exchange programme and hence will be on a short term study visa. May I know if there’re any banks that allow an account to be opened for only 5months? Thanks! I’m 17 and I’m studying 10th grade in Iran and would like to enter Oxford Tutorial College. i am going to transfer from my dad company to his personal account after that i wil take bank statement from bank and that will show that i am supporting my son. still he fished his MBA and the account is old account but he will put the money from his company to his personal account after that i will take bank statement to sporting and show that my dad will all money . Hello. Many thanks 🙂 Love your blog!. I have applied for a 9 month full-time course at the University of Cambridge. Do you know how much these banks charge (percentage fees and/or flat taxes) on SEPA transfers using EUR as the currency, particularly Santander and Barclays ? My daughter will be in University of Bath (UK) for exchange study Is she eligible to open bank account in UK for just about 4 to 5 months stay?